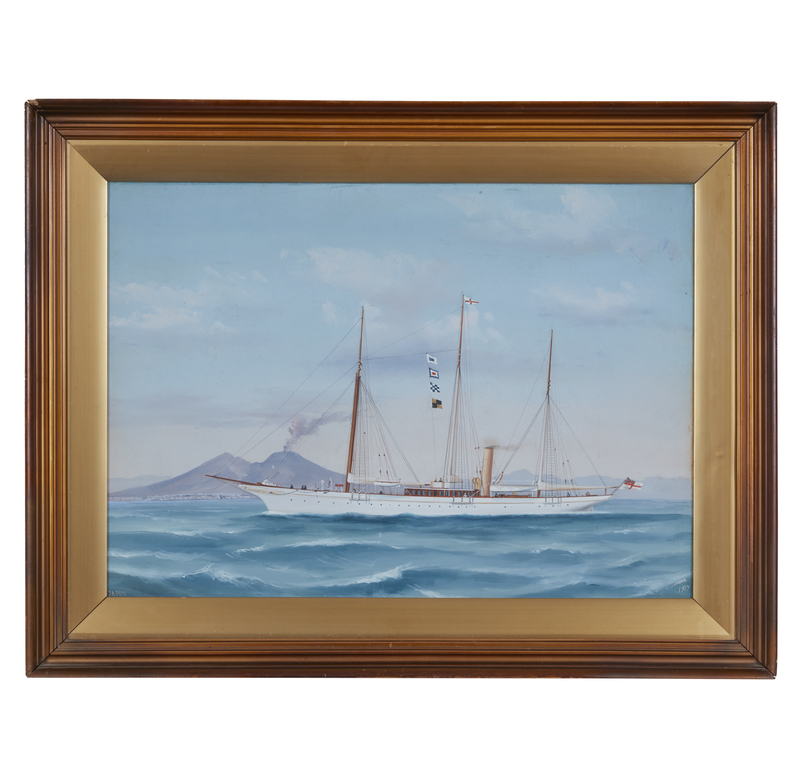 Marine Painting, Antonio de Simone (1851-1907), "Jason"
Framed gouache marine painting, "Jason", by Antonio de Simone (1851-1907). Titled lower left, signed and dated (1907) lower right. Dimensions: (sight) 17.25"h x 24.25"w; (overall) 24"h x 31.25"w. Processing and shipping within the continental U.S. $68.00 plus 1.5% replacement cost insurance. Bare edges slightly visible right and upper margins. Otherwise minor wear to frame. Did not examine out of frame. Witherell's strives to provide as much information and photographs as possible but encourages in-person inspection by bidders. Condition statements are only for general guidance and should not be relied upon as complete statements of fact and do not constitute a representation, warranty or assumption of liability by Witherell's. All lots are sold "AS IS" under terms and conditions.